Capt. John GORHAM (1620 – 1676) was Alex’s 10th Great Grandfather three times over, through his daughters Desire and Temperance and his son James. He was three of 2,048 in this generation of the Shaw line. 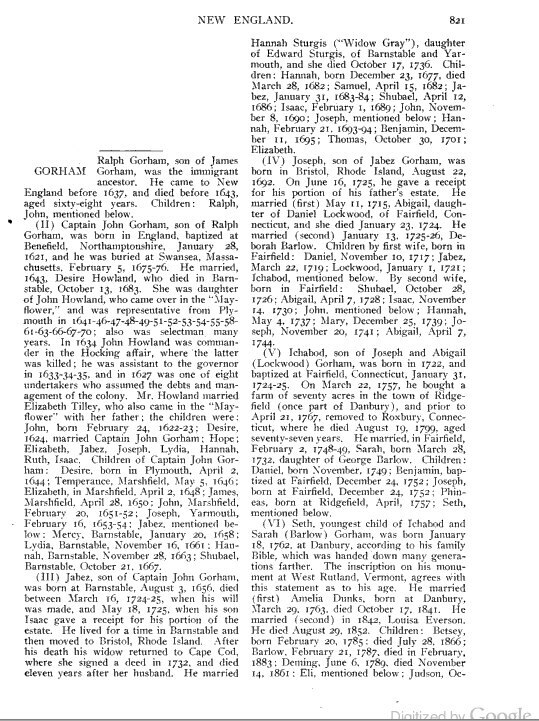 John Gorham was born 28 Jan 1619/20 in Benefield, Northamptonshire in England. His parents were Ralph GORHAM and Margaret STEVENSON. John came to Plymouth, Massachusetts as a teenager on the Phillip, Richard Morgan, Master, bound for No. America on 20 Jun 1635. The ship’s list show a Thomas Gorham age 19 and John Gorham age 18. Thomas isn’t mentioned in Pilgrim records, so he probably died without issue. John married Desire HOWLAND in 1643 in Plymouth, Mass. Two children from this family, Desire and James are our ancestors. John died 5 Feb 1675/76 after being wounded 15 Nov 1675 in the Great Swamp Fight in King Phillip’s War. He was wounded by having his powder horn shot which split against his side, and he was severely weakened further from exposure. He died of the resulting fever. While Barnstable is given as his residence at the time of his death, he nonetheless must have died in Swansea, Bristol Co., MA as it is so stated in that town’s record’s. Elizabeth Pearson White in “John Howland of the Mayflower” gives John Gorham’s date of burial as 5 Feb 1676/77. While there exist other references with different dates, the White work is considered the best researched historical reference available to date. However, if he died from wounds received in the Narragansett battle of Dec 1675 then a burial in Feb 1676 seems most reasonable. In 1777, his heirs were granted 100 acres of land at Papequash Neck in Swansea. Only the date of John’s burial is recorded, not his death. Desire Howland was born 13 Oct 1623 in Plymouth Colony. Her parents were John HOWLAND, one of the Pilgrims who signed the Mayflower Compact, and helped found Plymouth Colony, and Elizabeth TILLEY. It comes to us as ancient lore that Desire’s father, John Howland, named his first daughter named after a young girl “Desire” who was on the ship “Mayflower” with him and with whom he had taken particular fancy. Desire Minter was the daughter of William and Sarah Minter, members of the Leiden congregation. Desire’s father died in 1618, and she joined John Carver’s family. Her mother remarried in 1622, and her new parents established an endowment that Desire would inherit at the age of twenty-one. After a few years in Plymouth, Desire returned to England to assume her inheritance. John and Elizabeth Howland were very fond of Desire and named their first child Desire in her honor. Some researchers place the date of Desire’s marriage to John as 6 November 1644. If so, there must have been some un-Puritan-like hanky-panky going on during their courtship – Somebody might have forgotten to install the bundling board. John was a resident of Yarmouth at the time of his death, but soon his Desire moved to live with her son in Barnstable and died there 13 Dec 1683. 2. Temperance GORHAM 5 May 1646 Marshfield, Plymouth, Mass Edward STURGIS Jr.
1677 16 Mar 1724/25 Bristol, RI. 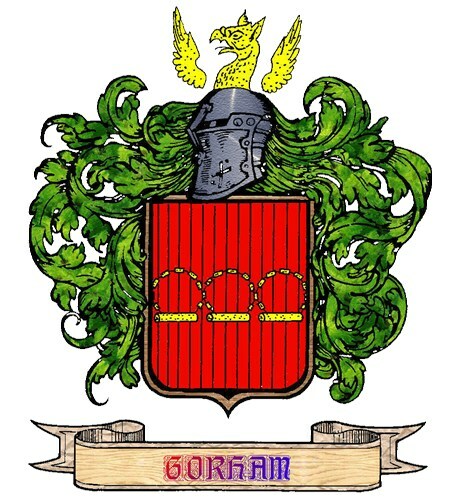 The Gorham family were originally French. The French spelling was DeGorran and they came from La Tanniere near he Brittany border. Several of the family went to England in the Eleventh Century following William the Conqueror and the Norman Invasion of the British Isles. The Northamptonshire branch of the Gorhams are supposed to have descended from Sir High de Gorham and his wife Margaret, daughter of Sir William l’Angevin. Sir Hugh de Gorham, in 1281, possessed the manor of Churchfield in the parish of Oundle, and land in Benefield which had belonged to his wife’s father. John and his descendants are the only ones listed in the Plymouth colony throughout the Seventeenth century, so even if there were other brothers, only he survived. John was raised in the Puritan faith and was a leather tanner by trade. 18 Dec 1638 – John received a land grant in Plymouth. 1638-39 – John is recorded as having a partnership in Duxbury with one John Rogers. 1643 – John’s name was on a muster roll of men able to bear arms in Plymouth. 1646 – John and Desire moved north along the coast to the new town of Marshfield. Marshfield is located on the South Shore, about where Cape Cod Bay meets the Massachusetts Bay. 8 Mar 1648 – Desire’s father, John Howland, sold to his “son-in-law, John Gorum”, half of the lands in Marshfield that he had bought from Governor William Bradford. 1651 – Member of the Grand Inquest of the Colony. 1652 – Moved to Cape Cod and settled in Yarmouth and purchased part of the Hallett farm. He had some 100 acres, most of which lay in the town of Barnstable. He operated both a grist mill and a tannery in Yarmouth. His was one of the better farms in the Colony. He also owned a gristmill known as Hallett’s Mill and a wharf landing nearby. Not far away he had a tannery. In Barnstable he reared his family and became an influential man in local affairs as a selectman (representative) and a landed proprietor. Some of the Gorham houses still remain in Barnstable. In 1652 John Gorham came to Yarmouth, and purchased the northwest house lot, on the County road, adjoining the bounds of Barnstable. Subsequently he purchased a part of the farm of Andrew Hallet, adjoining his lot. He also owned the grist-mill, known as Hallet’s mill, and the landing place, or wharf, near the same, but situated farther south than the present mill. The dam built by the settlers only enclosed the southern portion of the mill pond, then appropriately called Stony Cove. Mr. Gorham’s tannery was a short distance south of the present mill, on the west side of the pond, and northerly from the ancient mill. He was a Surveyor of Highways for Yarmouth in 1654. In 1673 and 1674 he was one of the Selectmen of Barnstable, but in 1675 was again a resident of the town and captain of the militia here. In June of that year, Capt. Gorham and twenty-five men from Yarmouth, “took up their first march for Mount Hope.” The theatre of war changing, the company marched into Massachusetts, without results. In October he was appointed captain of the second company of Plymouth Colony forces, was engaged in the sanguinary fight in the Swamp Fort, Dec. 19, and died at Swansey, from fever contracted in consequence of exposure during that campaign, Feb. 5, 1676, at the age of 55 years. 1653 – Deputy to the Plymouth Colony Court. 5 Mar 1655 – John Gorham was presented for “unseamly carriage toward Blanch Hull at unseasonabie time being in the night.” She was then the wife of Trustrum Hull of Barnstable, and afterwards the second wife of Capt. William Hedge of Yarmouth. She was a bad woman, being frequently involved in broils and difficulties. Capt. Hedge, in his will, cut her off with “a shilling,” and gives as a reason that “she had proved false to him.” John Gorham was fined 40 shillings, Blanch 50 shillings — a poor speculation for Mrs. Hull. 1669 – Granted a large portion of land in Swansea, Massachusetts. He didn’t seem to go there immediately as in 1673 and 1674 he was a selectman in the town of Barnstable. 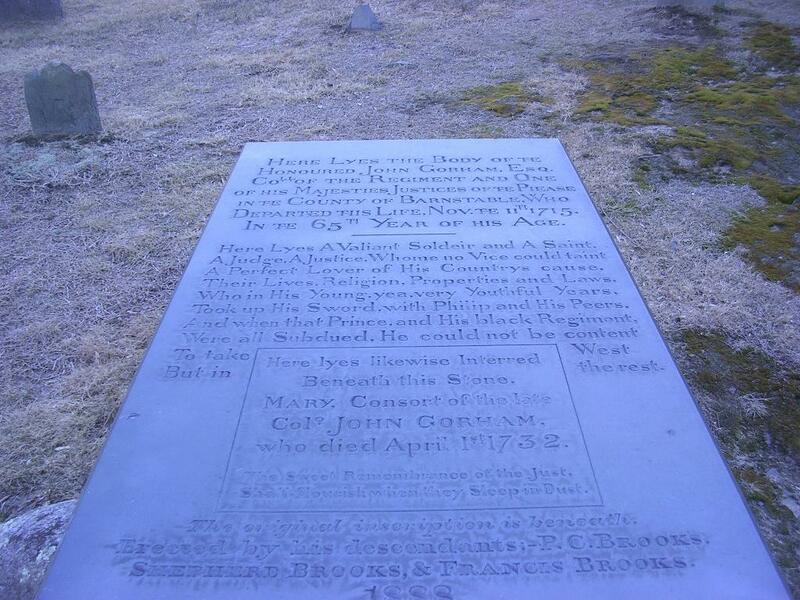 16 Feb 1673 – “John Gorum Sen of Barnstable” sold to George Dawson, “now resident at Barnstable”, land in Middleboro formerly belonging to John Howland and Elizabeth, his wife, and given to the said John Gorum before John Howland’s death. The transaction was witnessed by Joseph Laythorpe and John Thompson, and acknowledged 24 February 1673 before Thomas Hinckley, Assistant. Desire, wife of John Gorum gave her consent 30 April 1674. Mendum, October the 1, 1675. Much Honored : My service with all due respects humbly presented to yourself and unto the rest of the Council hoping of your healths. I have made bold to trouble you with these few lines to give your honors an account of our progress in your jurisdiction. According unto your honors’ order and determination I arrived at Mendum with fifty men, and the next day Lieutenant Upham Phineas Upham was grandson of our ancestor Richard UPHAM he would later be wounded in the Great Swamp Fight] arrived with thirty-eight men, and the day following we joined our forces together and marched in pursuit to find our enemy, but God hath been pleased to deny us any opportunity therein; — though with much labor and travel we had endeavored to find them out, which Lieut. Upham hath given you a more particular account. Our soldiers being much worn but having been in the field this fourteen weeks and a little hopes of finding the enemy, we are this day returning toward our General, but as for my own part, I shall be ready to serve God and the country in this just war, so long as I have life and health; not else to trouble you, I rest yours to serve in what I am able. , John Gorrum. 1675 – John was Captain in the 2nd Barnstable Company, Plymouth Regiment in the war with King Phillip, an Indian chief who vowed to run the white men out of his land. Our ancestor Captain Jonathan SPARROW was John’s Lieutenant in the same company. While they are both related to us, they are five generations removed from each other. He led his troops in the Great Swamp Fight (or Massacre) of December 19, 1675. Great Swamp Fight Memorial South Kingston, Rhode Island, was the site of the last stand of the Narragansett Indians in King Philips War against the Colonists – In 1906 a rough granite shaft about 20 feet high was erected by the Rhode Island Society of Colonial Wars to commemorate this battle. Around the mound on which the shaft stands are four roughly squared granite markers engraved with the names of the colonies which took part in the encounter and two tablets on opposite sides of the shaft give additional data. John Gorham’s name was on a List of the Soldiers of Yarmouth that were pressed into the country’s service, and that went to Mount Hope against the Indians in 1675, and took their first march upon the 24th June, ’75. The sum of his wages was £12 02 09. 24 Oct 1764 – Narraganset #7 was incorporated as the Town of Gorham (Captain John Gorham, Plymouth Company Commander during King Philip’s War received payment with land known as Narragansett #7). population 340, sixty to seventy families. The first sawmill in name was erected in 1743 by a John Gorham at Little River on Fort Hill Road. The mill was burned by Indians in 1745. John was a resident of Yarmouth at the time of his death, but soon his widow moved to live with her son in Barnstable. She, Desire Gorham, died there December 13, 1683. On November 2 1675, General Josiah Winslow led a combined force of over 1000 colonial militia including about 150 Pequot and Mohegan Indians against the Narragansett tribe living around Narragansett Bay. The Narragansett tribe had not yet been directly involved in the war, but had allegedly sheltered many of King Philip’s men, women and children and several of their warriors had reportedly been seen in Indian raiding parties. The colonists distrusted the Narragansett and feared the tribe would join King Phillip’s cause come spring, which caused great concern due to the tribe’s location. The decision was made to preemptively strike the Narragansett before an assumed uprising. Several abandoned Narragansett Indian villages were found and burned as the militia marched through the cold winter around Narragansett Bay. The tribe had retreated to a large fort in the center of a swamp near Kingston, Rhode Island. The building of such a defensive structure gives credence to the argument that the Narragansett never intended aggressive actions, thus the colonist’s preemptive attack may have been unwarranted and overzealous. Led by an Indian guide, on December 16, 1675 on a bitterly cold storm-filled day, the main Narragansett fort near modern South Kingstown, Rhode Island was found and attacked by the colonial militia from Plymouth Colony, Connecticut Colony and Massachusetts Bay Colony. The massive fort occupying about 5 acres of land and was initially occupied by over a thousand Indians was eventually overrun after a fierce fight. The Indian fort was burned, its inhabitants, including women and children, killed or evicted and most of the tribe’s winter stores destroyed. It is believed that about 300 Indians were killed (exact figures are unknown) in the fighting. Many of the warriors and their families escaped into the frozen swamp. Facing a winter with little food and shelter, the whole surviving Narragansett tribe was forced out of quasi-neutrality some had tried to maintain in the on-going war and joined the fight alongside Philip. The colonists lost many of their officers in this assault and about 70 of their men were killed and nearly 150 more wounded. The dead and wounded colonial militiamen were evacuated to the settlements on Aquidneck Island in Narragansett Bay where they were buried or cared for by many of the Rhode Island colonists until they could return to their homes. Nathaniel Gorham, President of the Continental Congress, the poet Henry Wadsworth Longfellow, and Pres. George Bush are some of the more famous descendants of John Gorham. Elizabeth’s husband Joseph Hallet was born in 1630 in England. His parents were Andrew Hallett and Mary Reeves. Joseph died 30 JUN 1715 in Plymonth, Mass. Joseph was five years old when he immigrated with his parents. Andrew Hallett at age 28, is listed as a servant to Richard Wade, on a list of persons bound from Weymouth to New England dated March 20, 1635. This was the fifth voyage of the Mayflower. Andrew, a man of good estate, came as an indentured servant to Richard Wade. The reason he came as an indentured servant was a common practice in Dorset England. Andrew Hallett Sr. wrote to some of his relatives congratulating himself on his cleverness in outsmarting the ship line. If he came as the gentleman he was, he would have had to pay his own fare, as well as that of his wife and all six children. So he persuaded a cooper, Richard Wade, age 60, to list him as an indentured servant in exchange for paying one-half of the fare for Richard Wade. As a result, Andrew Hallett was able to transport his entire family to the colonies for only one-half one one fare, rather than the eight fares he should have paid. Further information from this letter told that when they got off the boat in the new land, Richard Wade began to give Andrew orders, to which he replied, “I am on free soil now; no one shall ever again tell me what to do.” And, according to records of people who knew him in America (including Gov. William Bradford, who confirmed this story in some of his writings), ‘no one ever did! When Andrew came to Plymouth Colony in 1637 he was a proprietor in Dorchester, Mass. In 1638 he moved to Sandwich, Massachusetts and afterwards to Yarmouth, Mass. His wife was Mary Reeves. He brought his wife and several children to Lynn, Mass. in 1636, then to Plymouth in 1637, and Sandwich in 1638. Andrew Hallet was among the earliest of the first comers, but did not make his permanent residence here until 1641. He was styled a school master in Lychford’s Plain Dealing. In 1639 he bought off Dr. William Starr, for ten pounds, seventeen acres of land and twelve acres of meadow, with the frame of a house to be made by William CHASE Sr. , the house to be made and set with a chimney, and to be thatched, studded and latched (daubing excepted), which Mr. Chase had agreed to do for the sum of five pounds. The lot for this house was in the northwest part of Yarmouth and the northeast part of Barnstable, off of the county road; the house was probably within the limits of Yarmouth. He was one of the largest proprietors in Yarmouth in 1639 owning 200 acres, including the tidal and mill; most of his land was in what became Barnstable. He was taxed in Bowood, Dorset England in 1640 on a subsidy. Not many of the New England immigrants are found on these subsidies, as only a few of them were freeholders. The subsidies were a special tax which Parliament permitted the king to levy on landowners who had sufficient personal property to make collection of taxes cost-effective. At his death, Andrew left a cow to Yarmouth for the use of the poor. His siblings were better educated than he; but, notwithstanding, Andrew was the most respectable and succeeded best in life. John’s wife Mary Otis was born 14 Mar 1653 in Hingham, Norfork, England. Her parents were John Otis (1622 – 1684) and Mary Jacob (1632 – 1683). Mary died 1 Apr 1732 in Barnstable, Barnstable, Mass. John Gorham was a captain under Major Benjamin Church, in the expedition against the eastern Indians in 1696, and who was a lieutenant colonel in a like expedition in 1703. During King William’s War, which raged almost uninterruptedly, from 1699 to 1703 no less than five expeditions were fitted out from the colony to operate against the enemy in the Eastern country and in Canada, and in all of these the Cape towns bore a conspicuous part, and especially in the whaleboat fleets, which always accompanied these expeditions. These crafts were necessarily small, because the enemy’s ports were usually located near the heads of rivers, beyond the tide-waters, where ordinary transports could not approach them. They were manned by whalemen, sailors and friendly Indians. Upon the wale of each boat, strong pieces of leather were fastened, so that whenever they grounded the men could step overboard, slip long bars through the leather loops, and take up the boats and carry them to deeper water. At night or in stormy weather, the boats were taken on shore, turned over and used instead of shelter tents. Each boat was fitted with a brass kettle and other conveniences for cooking. These expeditions were commanded by the famous Capt. Benjamin Church, who visited the Cape in the winter of 1703/04, and enlisted a large number of men for his fifth expedition. Lieutenant Col. John Gorham of Barnstable, usually commanded the whaleboat fleets, and in most of these expeditions was second in command, and many officers and men from Yarmouth and other Cape towns, were engaged in them. Gorham accompanied Church on his fourth and fifth expeditions. The forth expedition in 1696 carried out the Siege of Fort Nashwaak (present day Fredericton, New Brunswick) which was then Capital of Acadia, and the Raid on Chignecto in Acadia, Church now holding the rank of major. Despite weighing approximately 250 pounds, Church led his troops personally in killing inhabitants of Chignecto, looting their household goods, burning their houses and slaughtering the livestock. During Queen Anne’s War, Church went on his fifth and final expedition into Acadia. In retaliation for the Deerfield Massacre, in 1704 Major Church raided Acadia in the Raid on Castine, Maine, Raid on St. Stephen, New Brunswick, Raid on Grand Pre, Raid on Pisiguit (present day Falmouth and Windsor) and the Raid on Chignecto. Church took prisoners and claimed to have left only five houses standing in Acadia. A 19th Century historian of Yarmouth relates These expeditions were prolific of adventure, and in after years the old soldiers and sailors who took part in them, seated in their roundabout chairs within their capacious chimney corners, would relate to the young the story of their adventures in the old French wars. Col. John Gorham Monument – Cobb’s Hill Cemetery (East and West) , Barnstable, Barnstable, Mass,Mass — HERE LYES THE BODY OF THEHONOURED JOHN GORHAM, ESQ.COLL. OF THE REGIMENT AND ONEOF HIS MAJESTIES JUSTICES OF THE PIEASEIN THE COUNTY OF BARNSTABLE, WHODEPARTED THIS LIFE, NOV. THE 11TH 1715,IN THE 65TH YEAR OF HIS AGE. who died April 1st 1732. The original inscription is beneath. Shubael was a military officer and had sailed with Colonel John March in 1707 and then again as an ensign in Captain Caleb Williamson’s Barnstable Company with Nicholson when the English took Port Royal in 1710. His greatest service, however, was his successful effort in obtaining the grants of Nargansett Townships to the heirs of the soldiers who fought in King Philip’s War. Col. Gorham spent much time and money promoting the settlement of Gorhamtown, now Dunbarton, Merrimack, New Hampshire. He bought the shares of many who did not desire to emigrate, but his speculations in the wild lands proved unfortunate. Buying such lands is like lottery tickets, a few get prizes. Col Gorham was not one of the lucky ones. He died insolvent in 1746, his own children being his principal creditors. As you can see in the above petition, Shubael also advocated for veterans of the 1690 Canada Expedition including our ancestor Lt. Jabez SNOW. Originally granted as Gorham’s-town in 1735, and re-granted as Starkstown in 1748, the town was incorporated in 1765 as Dunbarton. The name came from Dunbartonshire in Scotland, hometown to Archibald Stark, a prominent settler. 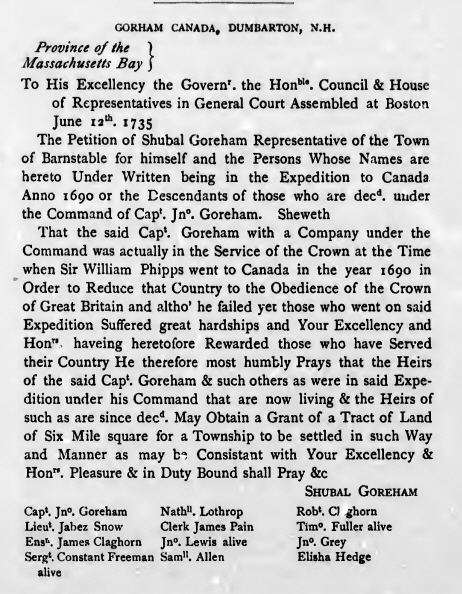 During the 1745 Siege of Louisbourg, Shubael Gorham of Barnstable was Colonel of the Seventh Massachusetts Regiment. His son, John Gorham, was Lieut. Colonel and became Colonel upon Shubael’s death. The expedition,consisted of 4,200 militia, sailors & marines, 90 ships & vessels under the command of Gen. William. Pepperell. The Siege of Louisbourg took place in 1745 when a New Englandcolonial force aided by a British fleet captured Louisbourg, the capital of the French province of Île-Royale (present-day Cape Breton Island) during the War of the Austrian Succession, known as King George’s War in the British colonies. Although the Fortress of Louisbourg‘s construction and layout was acknowledged as having superior seaward defences, a series of low rises behind them provided attackers places to erect siege batteries. The fort’s garrison was poorly paid and supplied, and its inexperienced leaders mistrusted them. The colonial attackers were also lacking in experience, but ultimately succeeded in gaining control of the surrounding defenses. The defenders surrendered in the face of an imminent assault. Louisbourg was an important bargaining chip in the peace negotiations to end the war, since it represented a major British success. Factions within the British government were opposed to returning it to the French as part of any peace agreement, but these were eventually overruled, and Louisbourg was returned, over the objections of the victorious colonists, to French control after the 1748 Treaty of Aix-la-Chapelle. 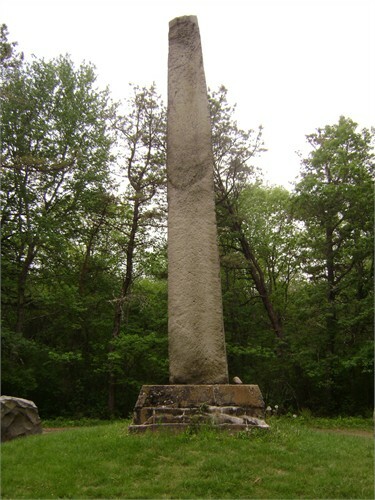 Shubael’s son and John GORHAM’s great grandson John Gorham (wiki) (1709–1751) was a New England Ranger and was the first significant British military presence on the frontier of Nova Scotia and Acadia to remain in the region for a substantial period of time after the Conquest of Acadia (1710). He established the famous “Gorham’s Rangers”. Gorham’s Rangers was one of the most famous and effective ranger units raised in colonial North America and served as the prototype for many subsequent ranger forces, including the better known Rogers’ Rangers. The unit started out as a Massachusetts provincial auxiliary company, recruited in the summer of 1744 at the start of King George’s War. Governor William Shirley ordered the unit raised as reinforcements for the then-besieged British garrison at Fort Anne in Annapolis Royal. Over the next eight years the unit proved remarkably effective at suppressing Acadian and Mi’kmaq resistance to British rule in Nova Scotia and helped to both expand and secure the British sphere of influence in the region. Initially a sixty man all-Indian company led by British colonial officers, the original Native American members of the unit were gradually replaced by Anglo-Americans and recent Scots and Irish immigrants and were a minority in the unit by the mid-1750s. The company were reconnaissance experts as well as renowned for their expertise at both water-borne operations and frontier guerrilla warfare. They were known for surprise amphibious raids on Acadian and Mi’kmaq coastal or riverine settlements, using large whaleboats, which carried between ten to fifteen rangers each. This small unit was the main British military force defending Nova Scotia from 1744 to 1749. The company became part of the British army and was expanded during the Seven Years’ War and went on to play an important role in fighting in Nova Scotia as well as participating in many of the important campaigns of the war, particularly distinguishing itself at the Siege of Quebec in 1759. John Gorham was commissioned a captain in the regular British Army in recognition of his outstanding service. He was the first of three prominent American rangers – himself, his younger brother Joseph Gorham and Robert Rogers – to earn such commissions in the British Army. (Many others, such as George Washington, were unsuccessful in their attempts to achieve a British rank.) John Gorham was active during King Georges War and Father Le Loutre’s War. John and wife Elizabeth Allyn even met with George II in England on one occasion. On a later trip to London, where he was to attend a meeting on how to proceed against the French, he came down with smallpox and died at the age of only 43. Shubael’s son and John GORHAM’s great grandson Joseph Gorham (wiki) ( 1725 – 1790) served as a lieutenant in his brother’s ranger company from 1744 through 1752. Initially the rank and file members of the company were Wampanoag and Nauset Indians from southeastern Massachusetts, prized as much for their small-boat handling skills (learned in the whaling industry) as for their scouting and tracking skills, and also a handful of Pequawket Indians from Maine. Gorham was in the Battle at Canso during Father Le Loutre’s War (1748-1752). Shortly after his brother’s death in December of 1751, Joseph was promoted to captain and took command of the rangers, who were by then mostly Anglo-Americans. During the French and Indian War he participated in the Expulsion of the Acadians and in both the Battle of Petitcodiac, where he was wounded, and the St. John River Campaign. Joseph settled in Nova Scotia where he was active in Indian affairs and was also briefly the Lieutenant-Governor of Newfoundland. He also fought in the American Revolution, leading the Royal Fencible American Regiment and was also noted as the commander of British forces victorious at Fort Cumberland in 1776. Joseph’s first wife Sarah Sturgis was born abot 1656. Her parents were Edward Sturgis and Elizabeth HINCKLEY. Sarah died before 3 Feb 1738/39, Yarmouth, Barnstable, MA. Joseph’s second wife Bethiah Hall was born in 1672 . She was the widow of Kenelm Winslow Jr. Bethiah died 9 Sep 1745. Joseph’s third wife Sarah Howes was born 29 OCT 1673 in Yarmouth, MA. . Her parents were Thomas Howes Jr and Sarah Bangs. Her grandparents were our ancestors on both sides, Thomas HOWES and Mary BURR and Capt. Edward BANGS and Rebecca HOBART. She was the widow of Stephen Hopkins Jr. Sarah died after 1746. Joseph was a shoemaker in Yarmouth. In the division of his father’s estate in 1675, he was given forty acres of land and 4 acres of meadow next to land owned by his brother-in-law, Joseph Hallet. Edward Sturgis, in his verbal will probated at Plymouth, MA 3 June 1679, gave Joseph 5 pounds in silver. Joseph was one of the witnesses to the will. Joseph served as an ensign in the militia before 1682. In Mar 1683/84, after his mother’s death, Joseph and his brothers and sisters agreed that the children of his deceased sister, Elizabeth Hallett, ‘should have an equal part that did belong to their mother.’ In his will dated 27 July 1723, proved 20 July 1726, Joseph Gorham named his wife Sarah, his sons Joseph and Josiah Gorham, his daughter Desire Baxter, his granddaughter Sarah Sears, daughter of his deceased daughter Sarah Howe, and Sarah’s other children, Thomas, Ebenezer and Elizabeth Howes. His wife Sarah and son Josiah were named executors. Witneses were Peter Thacher, Thankful Thacher and Ann Lothrop. Jabez was wounded in King Philip’s War. His name is on a list of townsmen in Yarmouth in 1679. In 1680 he was a constable and in 1683 he took the freeman’s oath and served on the Grand Inquest of Massachusetts Colony in 1683. The family removed from Barnstable to Bristol, Rhode Island. He was present at the first town meeting in Bristol where he was voted as an inhabitant, can be found in the 1689 Bristol Census, and on July 6, 1696, he became a member of the Congregational Church of Bristol. At about this time Jabez settled at Papasquash Neck on one hundred acres of land granted to the estate of his father, Capt. John Gorham, for his service in King Philip’s War. The land seems to have belonged to his brother, Shubael Gorham, who sold it to Nathaiel Byfield of Bristol, Feb. 7, 1689/90 for £62. Jabez registered his earmark for cattle and swine in Bristol, June 30, 1683. He was living in Bristol in August 1691 where he was called a carpenter when he bought land. Jabez Gorham’s will was dated Mch. 16, 1724/5. Mentions wife, Hannah, oldest son, Jabez, of Yarmouth, sons Isaac, Joseph and Benjamin, dau. Elizabeth, wife of Shubael Baxter, and grandsons, Edward, William, and Samuel Downs. Widow Hannah and son, Benjamin were made Executors of the will. (See Bristol Probate). Son Isaac, of New Haven. Connecticut filed a receipt for his share of his father’s estate, May 18, 1725 and son Joseph, of Fairfield, Fairfield Co. Colony of Connecticut of New England, filed a similar receipt June 16, 1725. After the death of Jabez, Hannah returned to Cape Cod and on September 12, 1723, the following deed was recorded in the Bristol Co. District Land Records, Vol 21, p. 262, “Hannah Gorham of Yarmouth, in the county of Barnstable, seamstress, quitclaimed to Benjamin Gorham [her son] of Bristol, tanner, all her interest in five acres of land in Bristol”. Mercy’s husband George Denison was born 16 Jul 1653 in Barnstable, Barnstable, Mass. His parents were George Denison (1621 – 1694) and Ann Borodell Denison (1615 – 1712). 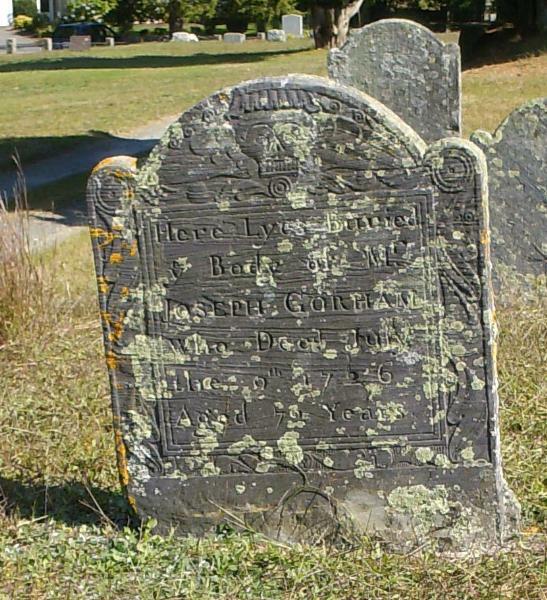 George died 27 Dec 1711 in Westerly, Washington County, Rhode Island. ii. Joseph Denison b. 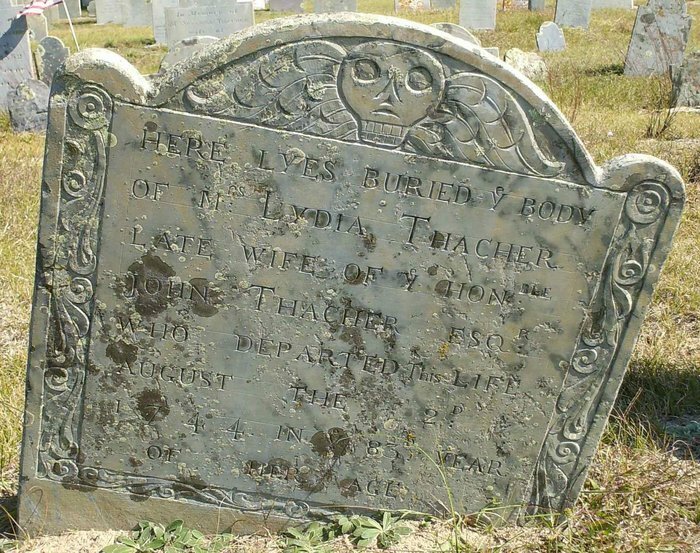 1681 in Westerly, Washington, Rhode Island; 18 Feb 1724 Stonington; Burial: Old Taugwonk Cemetery; m. Prudence Miner (bapt. 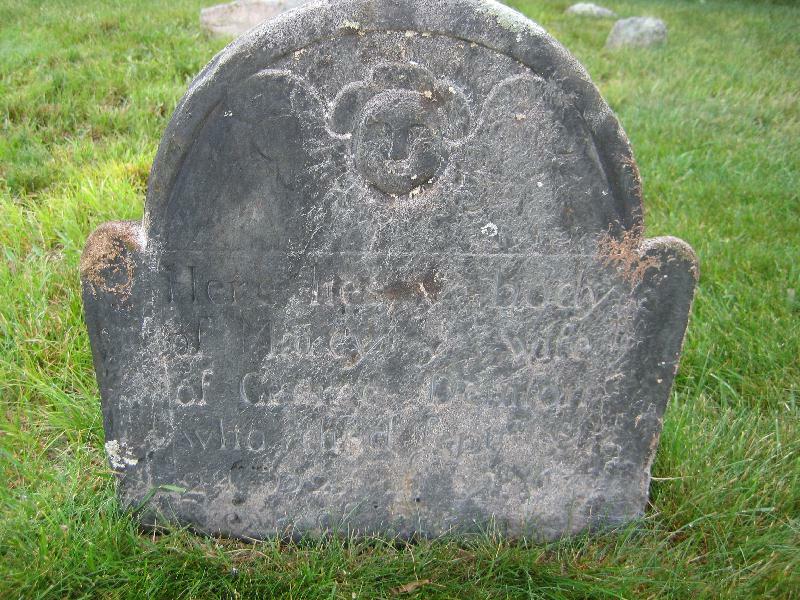 6 May 1688; d. 17 May 1726 Stonington, Burial: Old Taugwonk Cemetery) Prudence’s parents were Joseph Miner and Mary Avery. Her grandparents were our ancestors Thomas MINER and Grace PALMER. Lydia’s husband Col. John Thatcher was born 17 Mar 1639 Marblehead, Essex County, Mass. His parents were Anthony Thacher and Elizabeth Jones. John died 8 May 1713 in Yarmouth. John had previously married Rebecca Winslow in 1661. Her father was Josiah Winslow. nephew of governor of Plymouth Colony.. Rebecca died on July 15, 1683. He married Lydia six months later. He was deputy from Yarmouth, 1669, ’70, ’71; was an Assistant of Plymouth Colony. Hannah’s husband Joseph Weldon was born 1685. His parents our ancestors John WHELDEN and Mary FALLAND. 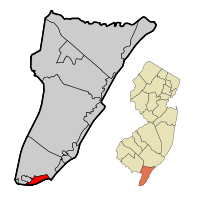 Joseph was a sea captain and they soon moved to Cape May in New Jersey. She died there in 1728, he in 1727. It was intended that Shubael go on to college, but the death of his father and his lack of drive put that thought aside. He became a carpenter in Barnstable. He met and married Puella Hussey of Nantucket in 1696. Her family is covered in the preceding HUSSEY FAMILY HISTORY. He moved to the ocean side of Barnstable and built a home on the water in Hyannis Port. He ran a tavern and a fulling mill as well as following his trade as a carpenter. Shubael died in 1750 at age eighty-two. Puella died a few years earlier. She was not mentioned in his will of 1748. He left his estate to his son George and his personal estate to his daughters. While Shubael had never to my knowledge lived on Nantucket, he was a Quaker and the Nantucket Quakers all attended the Sandwich Monthly Meeting on Cape Cod. It would have been here that he met his wife and also where his children met the Nantucket people that they married. This entry was posted in 12th Generation, Double Ancestors, Historical Monument, Immigrant - England, Line - Shaw, Pioneer, Place Names, Public Office, Veteran, Violent Death and tagged Great Swamp Fight, Raid on Chignecto, Siege of Fort Nashwaak, Siege of Louisbourg 1745, Triple Ancestor, Yarmouth Pioneer. Bookmark the permalink. I am descended from Lydia Gorham and John Thacher. My mother’s maiden name is Thacher, and she has written a book on the history of the town of Dennis, where I still live (was previously part of Yarmouth, MA). I would love to “meet” you via email! I can’t seem to find your name on your wonderful blog! Please send me a message when you have the time. Charles Jr’s wife may have married Ruth THATCHER 2 Apr 1792 in Yarmouth, Maine. He also may have married Mary STURGIS or Judith Chadwick. Many, if not most of the early Vassalboro settlers were from Yarmouth. 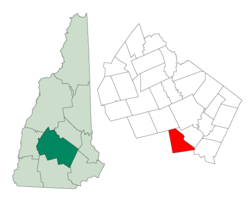 (Vassalboro is not too far from Colby College about 12 miles up the Kennebec River from Augusta. I came across this post and your reply last night while researching my family history. I too am a descendant of John Gorham through his son Joseph. Is your mother Nancy Thacher Reid by chance? I know she has written a great history of dennis book and if it isn’t her, the coincidence would be amazing. Anyways, i’m just curious if you knew the exact link with all the names? I’m starting to branch my family tree out and would love to put in that line. My cousin Caroline (Dolan) Ellis – also a descendant of John Gorham – is sort a Yarmouth historian and as Nancy Thacher is the Dennis historian, I would love to see what their exact relationship to each other is. As a descendant of John Gorham through Mercy Denison/Stanton/Gallup/Williams/ lineage, thank you for compiling this rich history. 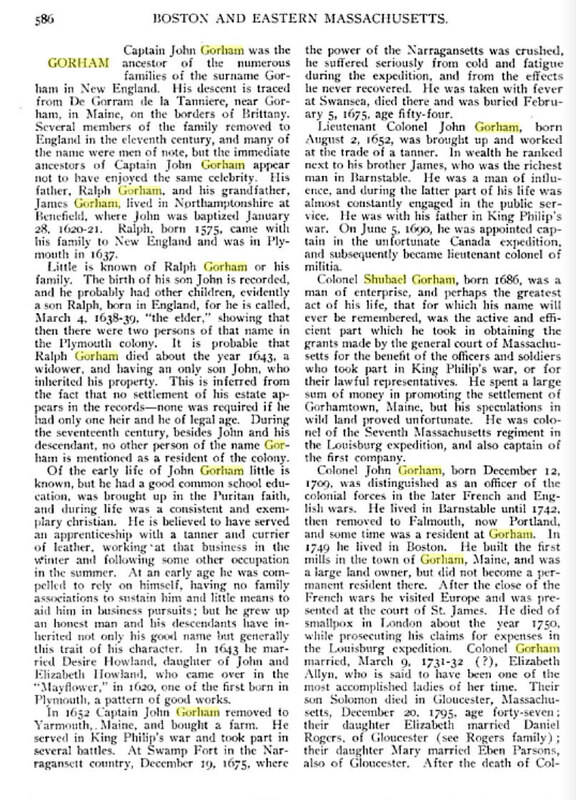 I was browsing a link apt.John Gorham ,from SamuelR Lloyd 1938,,I ran into manynames..Christopher Lloyd has family in Danby,vt..Then I wentto several names Capt Jn Gorham 1621,to Miners Descent.. Are there people connected to Cobb of Taunton Mass in here?? Richard Sparrow,,is this related to Abe Lincoln?? Fascinating Page………Hello Cousins. Lt. Col. John Gorham, IV is your first cousin 9X removed. I am Candi Arrington. I am a descendant of Capt. Gorham. My grandmother was Liz Gorum daughter of George Gaston Gorum. I am trying to connect my family tree. I have heard we are related to French but also possible from Spain. Also, I have heard we have Native American in our family tree ? If someone could email me that would be greatly appreciated.